1953. 608 pages. 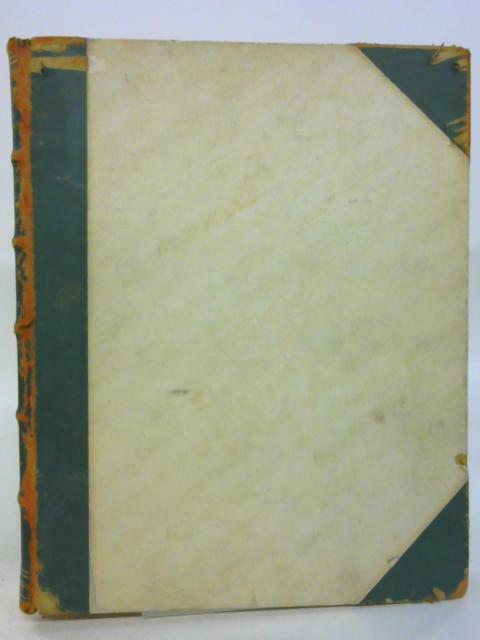 Cream boards half bound in green leather with gilt titles to spine. Tanning to pastedowns and endpapers. All pages have a crease running vertically down the middle. All pages slightly tanned but the text remains clear. A small tag of extra paper is joined to the top of p.167 and the bottom of p.205. p204 heavily rubbed and darkened. One pencil annotation p. 205. Boards seem to have been marbled at first but heavy sunning had faded this completely on front board. Edge-worn with chips, stains and small water marks. Leather corners are very scratched and worn. Spine leather is very worn and rubbed.